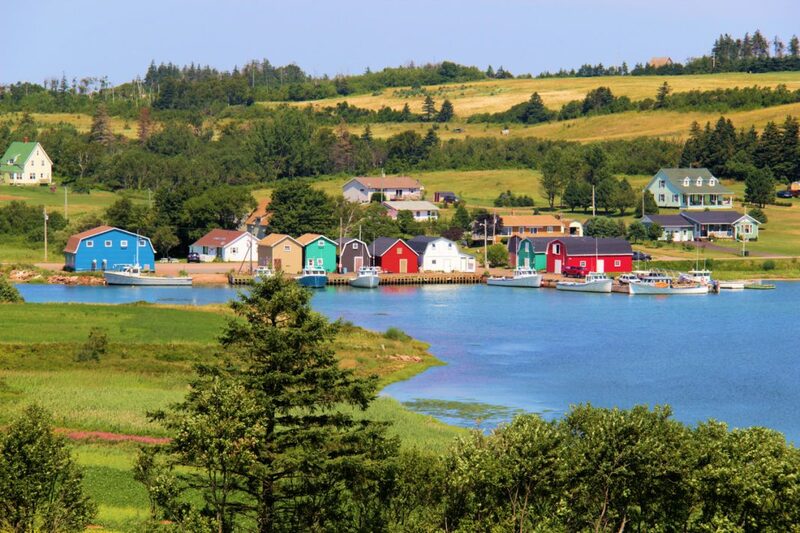 Prince Edward Island (PEI for short) is the smallest of Canada’s maritime provinces. 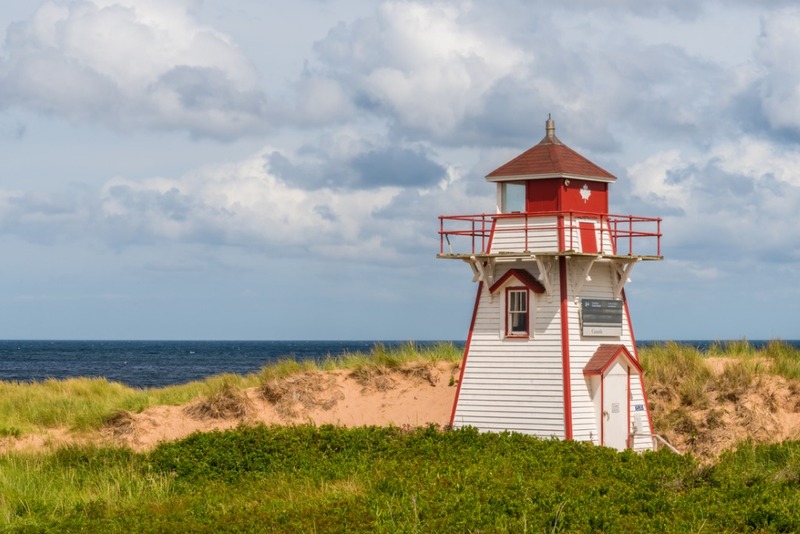 Located off the coast of New Brunswick and Nova Scotia in the Gulf of St Lawerence, it is known for its lovely red sand beaches, historic lighthouses, and picturesque countryside. Only three hours across from tip to tip, this small island was made famous by Lucy Maud Montgomery’s classic book series Anne of Green Gables which are set on the island. 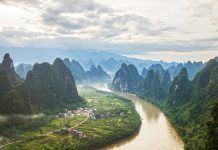 its patchwork of lush fields and tidy gabled farmhouses remain virtually unchanged. 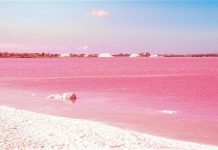 In recent years, the island has also gained the reputation of being an excellent culinary destination. 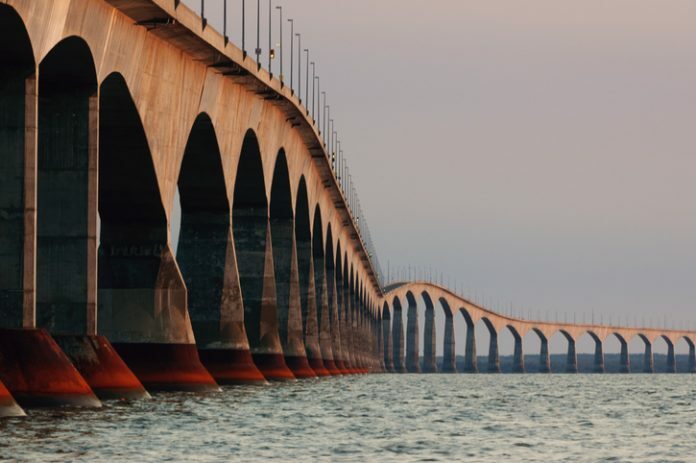 Located on the Red Sands Shore on the south of the island is the magnificent Confederation Bridge. It stretches across the Northumberland Strait, connecting Prince Edward Island to mainland Canada. Before this, crossings were done by ferry. The bridge was completed in 1997, and stretches almost 13 kilometres, making it Canada’s longest bridge. You can get excellent views of the bridge at Borden-Carleton and at the nearby Gateway Village. 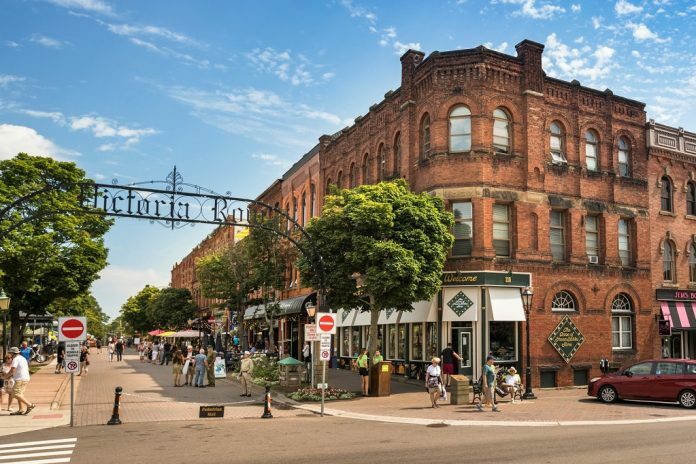 Charlottetown is the capital of PEI and is known for its historic Victorian-era charm. Heritage buildings line the streets, and you can even step back in time at the elegant Beaconsfield Historic House and along Victoria Row. Be sure to check out the ornate St. Dunstan’s Basilica and the Confederation Centre of the Arts which is a cultural hub with an art gallery, museum, and theatres. At the annual Charlottetown Festival, it presents the Anne of Green Gables musical. Across from it lies Province House, which hosted the Charlottetown Conference in 1864, where the idea of Canada was born. Don’t miss the COWS Creamery to sample some delicious dairy and ice cream, and the Sir Andrew MacPhail Homestead, the birthplace of Sir Andrew MacPhail, celebrated local author, physician and soldier. The town of Cavendish was the home town of Lucy Maud Montgomery (1874–1942), author of Anne of Green Gables, and became the fictional Avonlea of the books. 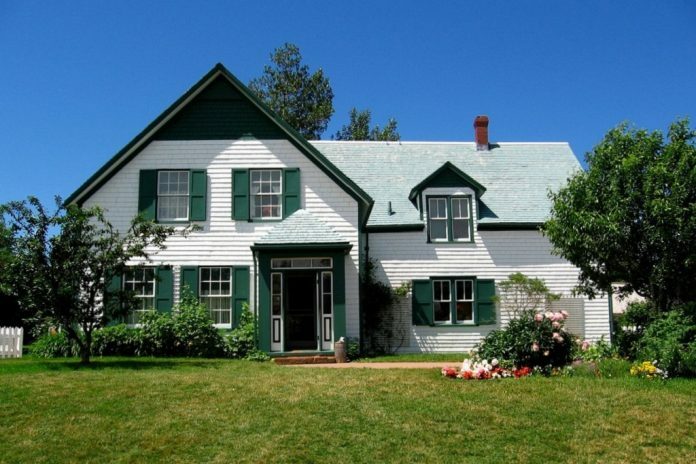 It is home to the green-roofed farmhouse, Green Gables Heritage Place, which once belonged to Montgomery’s uncle. Now, it is a heritage site, celebrating Lucy Maud and her creation, Anne. Also in Cavendish is the charming Avonlea Village, with shops and eateries based on descriptions from the books, and Montgomery’s own home. Nearby, in the town of New London, you can also visit Lucy Maud Montgomery’s birthplace and the Anne of Green Gables Museum in Silver Bush. Prince Edward Island National Park covers a large portion of the northern shore of the island. The park is divided into three sections, which are all full of exciting outdoor activities, historic buildings, serene beaches, and more. The red sandstone bluffs and sandy dunes are home to a diverse range of flora and fauna, including the red fox and endangered piping plover. Don’t miss the Gulf Shore Parkway along the shores of North Rustico and Cavendish which has the historic Covehead Harbour Lighthouse, and the more isolated beaches of Greenwich National Park which are popular with birdwatchers. Opening Hours: The park is open around the year, though most services are seasonal and entrance fees apply between mid-June and mid-September. Summerside is Prince Edward Island’s second largest city. Situated along the south-western coast, it is known for its picturesque waterfront district, Spinnaker’s Landing. 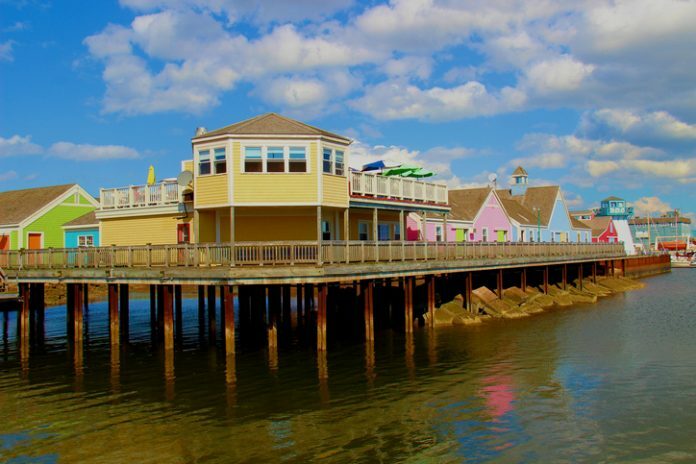 Its colourful buildings along the boardwalk are home to lots of eateries and shops, and features live music performances during the summer. In the city, you can visit the Acadian Museum, which explores the first European settlements on the island and the Acadian settlers who came here in the 1720s. You can also check out the Eptek Art & Culture Centre which has regular art exhibitions. Don’t miss the striking black-and-white-striped West Point Lighthouse which dates back to 1875. The Points East Coastal Drive winds along the eastern side of the island and is home to a series of beautiful beaches and historic lighthouses. Among these are the Wood Islands Lighthouse, located near the Wood Islands Provincial Park; the Point Prim Lighthouse, which is the oldest on the island; Panmure Island Lighthouse, PEI’s oldest wooden lighthouse; Cape Bear Lighthouse which is said to have received distress signals from the Titanic; Souris Historic Lighthouse, and its exhibits on the formation of sea glass; and finally, at the end of this road is the East Point Lighthouse. Also along this drive are numerous Provincial Parks and fascinating museums, such as the Basin Head Fisheries Museum and the Elmira Railway Museum that includes a train ride that winds through the surrounding forest. You can also explore the Confederation Trail which was originally a rail bed and is popular with walkers, runners, and cyclists. Located between Charlotte Town and the Points East Coastal Drive lies Orwell Corner Historic Village. It is a living recreation of a 19th-century farming community, complete with a historically furnished farm, shingle mill, church, store, community hall, and costumed school teacher and blacksmith. 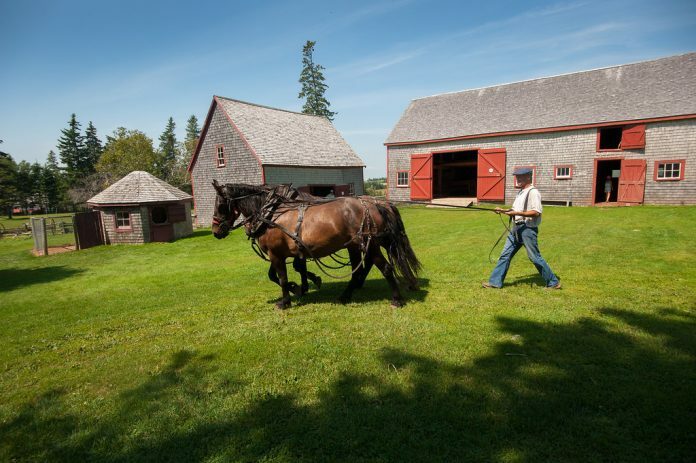 You can also visit the PEI Agricultural Heritage Museum and the scenic Orwell Bay. This tiny fishing village is known for its colourful take-out stands and small lighthouse. While it is home to only 100 people today, it was once a bustling Victorian community, with a steady stream of sailing ships visiting its ports, part of a thriving trade with Europe and the West Indies. Today, you can explore its charming heritage houses, a chocolate shop, excellent seafood restaurants, and the red sandstone cliffs along the Northumberland Strait. 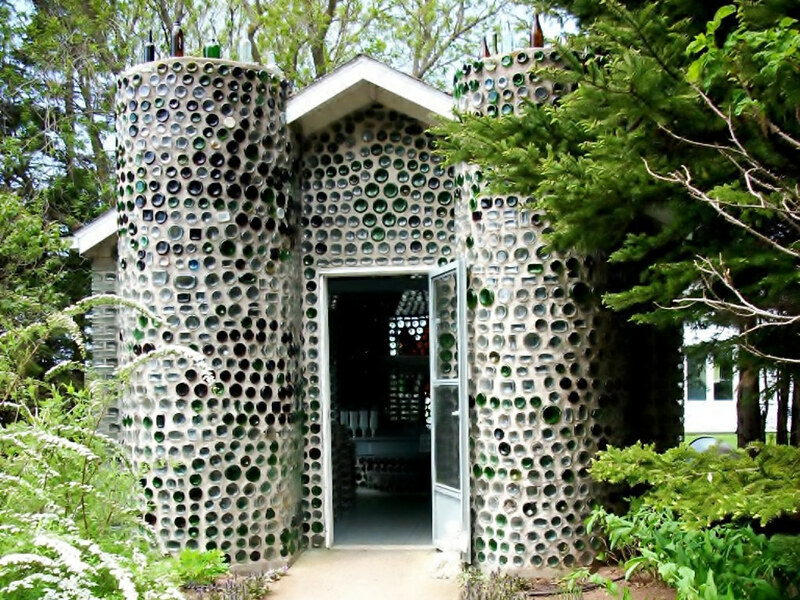 Located near Cape Egmont near Summerside are the colourful buildings made of recycled glass bottles known as the Maisons de Bouteilles (or “the Bottle Houses”). A recycling project of artist and builder Edouard Arsenault, it uses 25,000 bottles of all shapes and sizes collected from the local community. 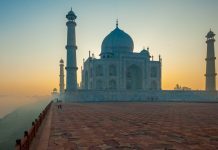 They are set in cement to create a house, a hexagonal tavern, and a chapel with light-filled mosaic walls. 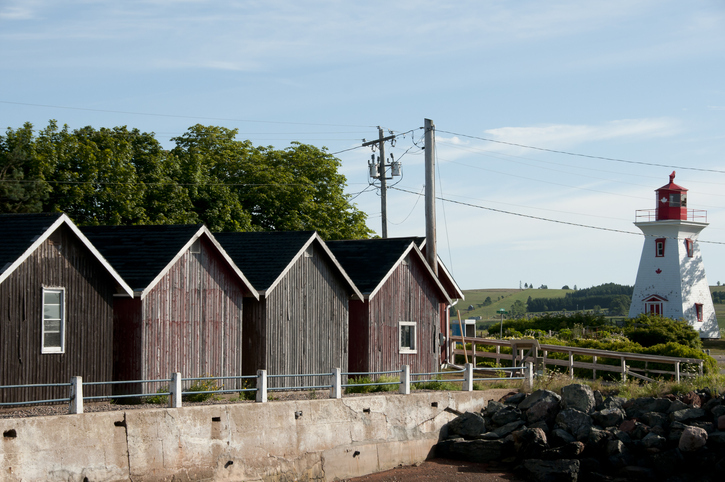 Prince Edward Island is known for its excellent seafood restaurants. All across the small island are excellent restaurants the serve everything from chowder and mussels to old fashioned lobster suppers. 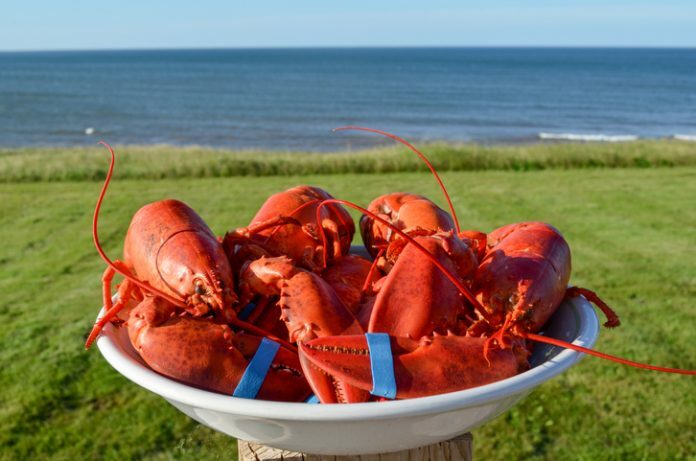 Island favourites include New Glasgow Lobster Suppers, which has been around since 1958, Fisherman’s Wharf in North Rustico, and the Malpeque Oyster Barn in the fishing harbour in Malpeque Bay. 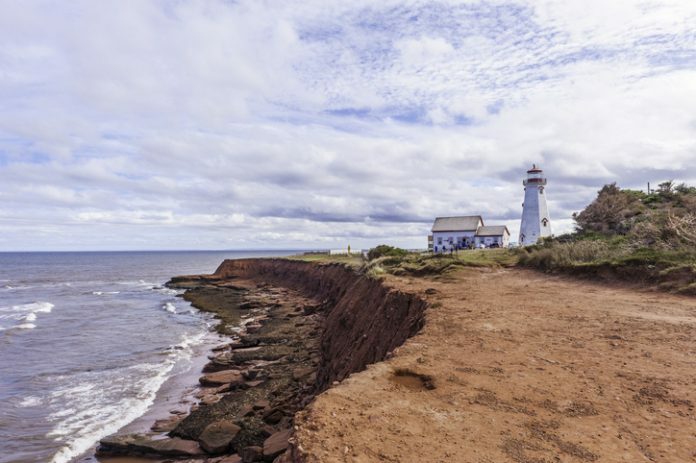 There are many more places to visit on Prince Edward Island. If we’ve missed any of your favourites, be sure to share them in the comments below.